The small village of Badia, right at the feet of the Santa Croce mountain, part of the Fanes mountain group, is the perfect destination for those who seek peace and quiet and prefer a holiday in a typical small mountain village away from the hassle and bastle of the neighbour villages (San Cassiano and Corvara are only 7 km away, La Villa 3km). In Badia, the Ladin traditions are very much alive and this can be proved by the various events organised throughout the year, such as the “Noza da paur”, typical Ladin wedding, in February, or the “Rait de San Linert”, the horse parade, in November. 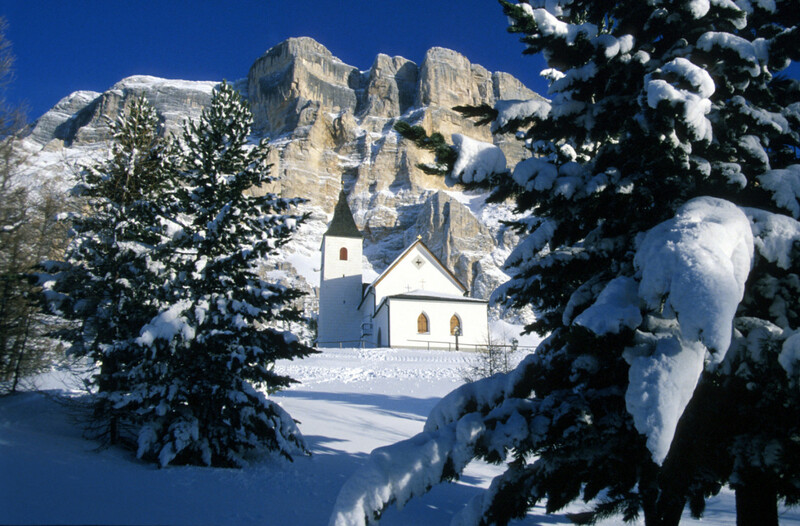 The Residence Lersc*** is situated in San Leonardo (San Linert in Ladin, 1.324 mt), is part of Badia, which has one of the most beautiful churches in the region Alto Adige. The church is dedicated to Saints Jakob and Leonard. 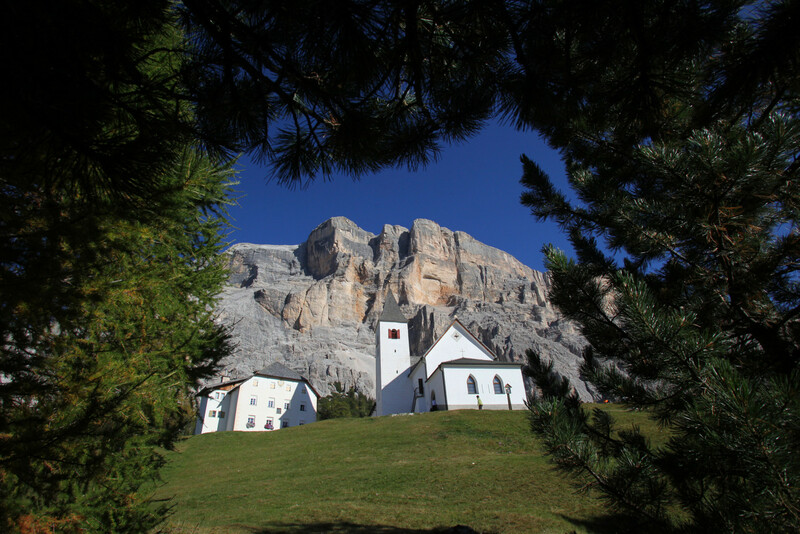 The sanctuary Santa Croce, situated at 2.045 meters at the feet of the Santa Croce mountain, is not only well known as a popular pilgrimage, but also a famous destination for many hikers. Pedraces on the other site, is the second part of Badia, and is situated at 1.315 meters. Don’t miss out the “Lech da Sompunt” a beautiful lake in the middle of the forest and overlooking the sumptuous mountains, situated at 1.460 meters and accessible by foot, and also the “Lech dla Lunch”, a wild lake in the forest, and the deer park “Paraciora” between Badia and the neighbour village La Villa. Fancy experiencing the forest, like we do every day, far away from the busy paths? We can’t wait to show you the secret itineraries in the forest and take you on a discovery of the authentic beauties of our territory, not only for hikers, but for cyclists, professionals and amateurs, who choose Alta Badia more and more to take their bike out for a spin! Starting right from the garden of the Residence Lersc***, where you can gather aromatic herbs from the orchard, you can hike the path that takes you to the oldest larch tree in the valley, where almost every inhabitant has spent hours climbing up and down during childhood. Another path, starting right outside our house, will take you to the lake “Lech dlà Lé” at Santa Croce, and further up to the homonymous church right at the feet of the Santa Croce mountain to then continue your way back to the valley through the Armentara pasture. Here, on a vast field, you will walk past the family cabin, where, during the summer time, we also organise barbecues for our guests! Not to mention the mushroom gathering, wild or finferli, and for the sweeter palates, the gathering of wild strawberries, lingonberries and blackcurrants. And if you are looking for a challenge, why not taking your hike to the stunning lake “Lago di Braies”. 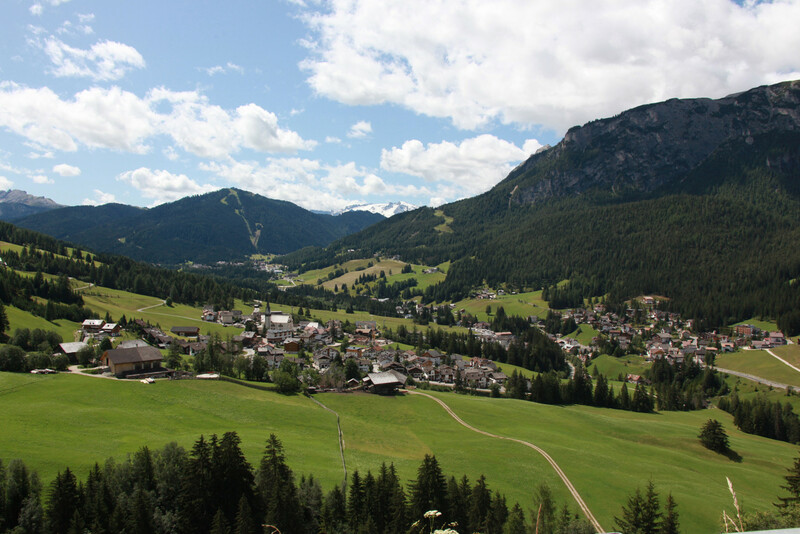 It’s not a mystery that Alta Badia is considered a true paradise for ski lovers and not only, offering a large ski resort with over 130km of ski slopes with 53 lifts (our Residence is situated only 400 meters from the Santa Croce lift!). By staying at the Residence Lersc***, you have access to the Sellaronda, one of the most famous ski tours in the Alps with over 40 km of slopes through the four Ladin valleys (Val Badia, Val Gardena, Val di Fassa and Livinallongo) and 3 provinces (Bolzano, Trento and Belluno). You only need to take the lift “Pradüc’”and “Sponata” (right next to the Santa Croce lift) and by skiing only on one slope, you will arrive at our neighbour village La Villa. From here, you can take the cable car and a few lifts to get to Corvara, where the Sellaronda starts: all in less then 40 minutes. Infinite options also for our skitourers, but if you don’t ski, don’t worry: there are plenty of suggestive itineraries, which, starting right outside our Residence, will make you discover magic places, by foot or snowshoes.